Game recap September 28: Loney and Bruce and Familia, oh my! The Mets did exactly what they needed to do and beat the Marlins 5-2, taking two of three games in the series. Seth Lugo went 5.1 innings of five-hit ball, allowing just two earned runs and lowering his ERA to a 2.67. Sure, it was against the Marlins, and eventually the rookie magic will probably wear off, but for now, Lugo has been a saving grace in an otherwise decimated rotation. 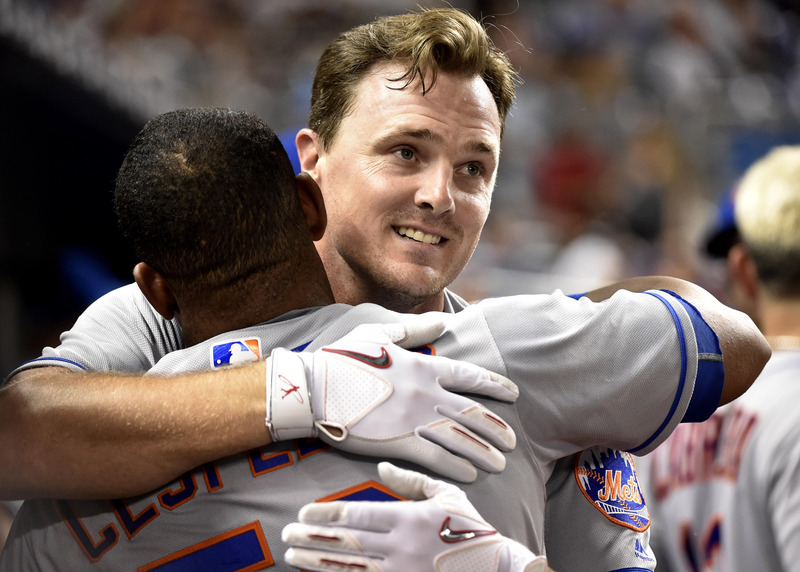 The Mets got their run support from the unlikeliest of duos on two-run home runs from both James Loney and Jay Bruce. Jose Reyes also drove in a run on a fourth inning double and five runs was all the team needed for the series win. Jeurys Familia notched his 50th save, extending his franchise record, but more importantly also made him the first Dominican-born pitcher to do so. He’s also just one of 13 major league relievers to record 50 saves in a season. The Giants and Cardinals both lost, which puts the Mets a game and a half over San Francisco and two and a half over St. Louis. The Amazins could wrap this up Friday if they so desire. Lucas Duda was a late scratch with general “body stiffness,” which is only to be expected after missing four months of playing time. The team’s best first baseman has looked good since coming off the DL and Terry Collins said he should be ready to play Friday after today’s off day. We’re feeling optimistic here at BP Mets. Everything is shiny and happy and wonderful. Enjoy your day off.